The interest and use of VA Loans by veterans when purchasing a home is growing. However, there are still many veterans that could be utilizing their VA Loan benefit, but are not. The VA estimates that 1 in 3 veterans are unaware of their VA Loan benefit. In my own experience as a Mortgage Lender, I often find that to be true. Either the veteran does know of the benefit, or there's some misunderstanding about how they may use and benefit from it. All sorts of myths and misconceptions abound regarding VA Loans. Neither should keep a military veteran or their family from owning and enjoying their own home ... or realizing the savings due them via VA financing. I can't overstate the importance of this: Familiarity with and knowledge of the specific requirements and demands of this type of property purchase and financing is needed and fundamental to you finding success. If you are a veteran and hope to use your VA Loan benefit: Please seek and use the guidance and expertise of a knowledgeable, experienced real estate professional and mortgage lender. Not located and/or buying a home using your VA Loan benefits in IL or WI? Contact me. I'll be happy to provide you a referral to an experience professional in your local area. Remember: Should you have remaining questions about buying a home using VA Loan benefits ... or regarding YOUR specific financial needs, don't hesitate to contact me or a local VA Mortgage Lender. * Hoping to Buy a home in the New Lenox, Will County, or greater Chicagoland area? Looking for facts and info regarding VA Loans and financing? Contact me today! I'll put my 37 years of mortgage experience and expertise hard to work on your behalf. Okay .. I've tried to correct the changes made to the appearance of this post countless times ... each time it made it worse. Not sure why this happens periodically here on AR ... but I've got no time to keep trying to make it better. Hi Gene - Excellent information for VA-eligible buyers, and the best possible advice - seek a lender who, in addition to proviving great client service, knows the program well. Gene, i will book mark this post. Doing any type of government loan and especially Va requires the assitance if an expert such as yourself. I grew up in Chicago in the Austin area .. what part of town do you live in? Gene VA Loans are an excellent way for a Veteran to obtain a mortgage, and the more the word gets out through blogs like this the more Veterans will be aware of it. Robert (Bob) Gilbert .. welcome neighbor! I grew up south of Chicago in the small town of Manhattan ... east of Joliet and southwest of Orland Park. My wife's from Manhattan too. If you ever travel back our way, please let me know! Hi Gene. VA loans must have a lead free certificate? I didn't know that. It never used to be that way. Gene, Thanks for telling me that you folks come from Manhattan. I have not heard of Manhattan before but Chicago as you know is such a large metroplex city. We went back to visit Chicago last October as I had not done something like since the late 70's and it was blast. Excellent information for Vets Gene. great post. I grew up in the city and it was a very dangerous place. Great life lessons concerning your own welfare but not much else. You were fortunate to be in a small city away from the big city crime and everything else. Gene, yes there many points Veterans may be unaware of as well as agents. 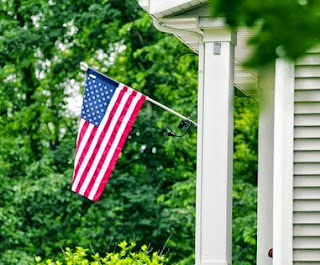 I recently had a client using his VA benefits and the question came up about gutters as you mentioned...there wasn't a clear answer as to whether or not they were required...it all depended on the home, its location and the VA appraiser...we got it done though. This is a great rundown of the advantages of a VA loan. I think more veterans just need to be educated about the program. This is a very informative post. Gene Mundt, Chicago-area Mortgage Lender - www.genemundt.com one more post for me to bookmark and save. 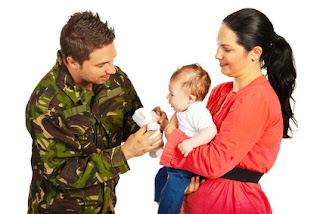 VA loans have many advantages - one needs to have patience to 'realize' those benefits. Good morning Gene. Outstanding post and very important topic. One of the best loan products that exists and I want to make the process as easy as possible for every vet that I do a mortgage for. I just wanted to add that the limit for $0 downpayment( 100% financing) In Los Angeles county is $625,500. After you get VA approval, contact your local realtor for a list of available and VA approved condo communities or houses in that price range.